Turkish Puzzle Rings, also known as puzzle rings, harem rings, or puzzle wedding rings, are captivating, unique rings which are created from multiple bands that fit together in a specific way before they can be worn as a ring. 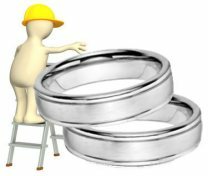 If you are interested in these very unusual rings to use as every day wear wedding bands, below you will find history about the rings, pros and cons, shopping tips and recommendations on where to find quality puzzle wedding rings. And if you have any questions about Turkish puzzle rings, or would like to share pics of your ring with our visitors, just use the handy comment box at the end of the page! Fun Fast Facts About Turkish Puzzle Rings! Puzzle rings have been around for hundreds of years. No one knows where or when exactly Turkish puzzle rings were first created. The biggest con to puzzle wedding rings? They cannot be resized. 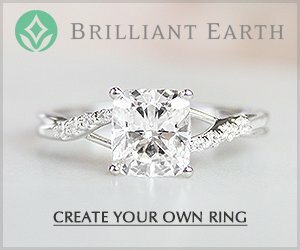 Knotted or Celtic rings are terrific alternatives to puzzle rings if you are looking for unique rings that can be sized. Find Puzzle Rings on Ebay! No one really knows where these rings came from as they are not used in the Turkish culture, but they may be related to the 3-band Gimmal Rings that were popular in the 1500 to 1600's as European betrothal rings. 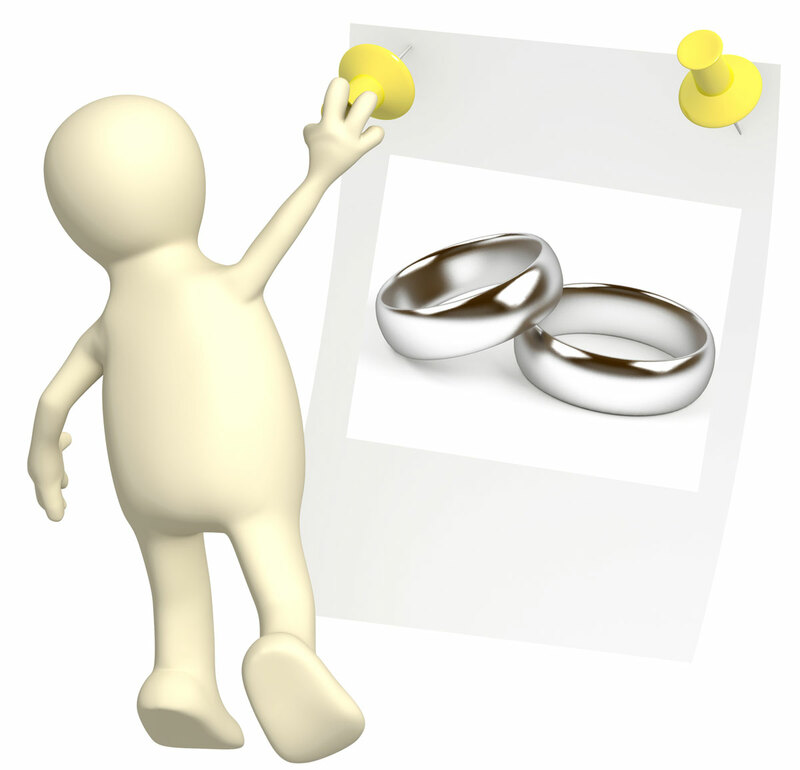 Others believe that puzzle wedding rings were once created to ensure fidelity in the marriage as the rings cannot be taken off and put back on again without the solution to the puzzle. Whatever the case, puzzle rings remain today a very unique type of wedding ring and they are available in a wide range of different styles and sizes, and may be custom made to include set diamonds and/or colored gemstones. Puzzle rings are traditionally created with 4, 6, 8, and 12 rings. For the purposes of wedding bands, the 6 band puzzle ring is one of the more popular styles, while the 12 band ring is often too bulky for daily wear. Turkish puzzle rings are also available in 3, 5, and 7 band styles, although it can be difficult to find puzzle rings created with odd numbered bands. A big pro to puzzle rings is that they are available in women's and men's styles and are also crafted in matching wedding ring sets. Women's puzzle rings are often designed in lightweight and delicate styles while men's puzzle rings are usually created using thicker and heavier bands. Puzzle rings can be made with any of the traditional wedding ring metals - 14k and 18k yellow, white or rose gold, platinum, palladium and sterling silver. And, different colored metals may be combined to create striking multi-tone wedding band styles. 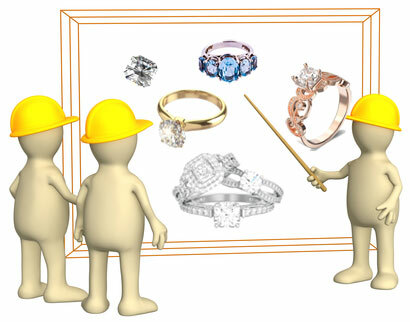 Puzzle ring solutions are always sold with the ring, and some retailers offer written instructions in addition to video instructions which may be viewed online. Depending on the type of ring you purchase, the bands may completely come apart when the ring is taken off or the bands may still remain looped together even when the puzzle comes apart. The biggest con to puzzle wedding rings is that they cannot be resized. These rings may also be difficult to repair if they are damaged, and repair costs - because of the difficulties involved - can be quite high. Polishing and cleaning these types of rings may also be difficult, so it is best to have the rings cleaned by a professional jeweler as needed. 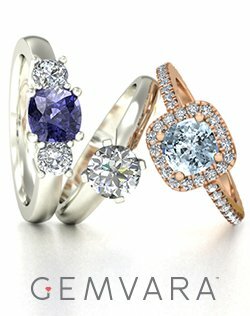 It may also be difficult to find puzzle rings - because they are so unique and unusual (see EWR's recommendations for rings below) and in many cases the rings either will need to be made locally by a talented jewelry artisan or ordered online through a reputable jewelry boutique. 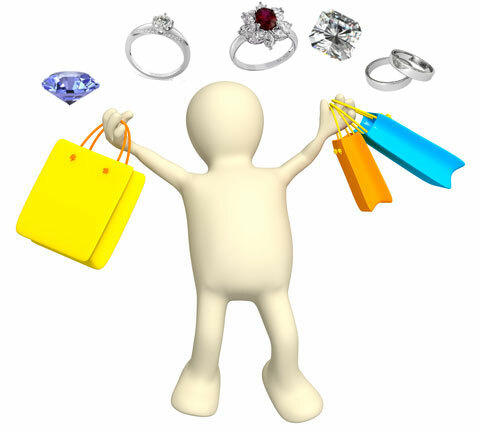 You may also be able to find quality used puzzle rings for sale at some jewelry retailers. Turkish puzzle rings are sold as wedding rings, but they are also sold as novelty rings which are not created with the highest standards in mind. To make sure you are purchasing a quality puzzle ring, only deal with retailers which sell the rings as wedding bands and which use quality metals such as gold, silver, palladium and platinum to create the rings. While these rings are very affordable, you should expect to pay upwards of $500.00 dollars or more for a puzzle ring crafted to high standards. As these rings cannot be resized, make sure that you have the correct ring size before you order your ring. Puzzle rings are usually custom made to order, and retailers may send you a free ring sizer to ensure that you have the right ring size. 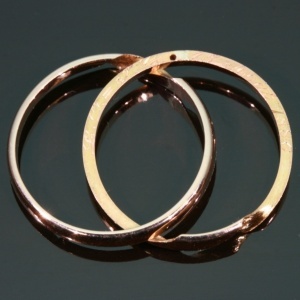 Avoid any rings made with brass, plated brass or which contain any gold or silver plate of any kind. 1. Norman Greene handcrafts exquisite puzzle rings using eco-friendly metals. 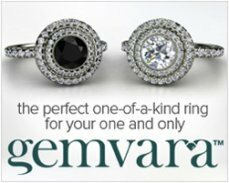 Rings from this experienced jeweler definitely make the top of EWR's recommendation list! 2. 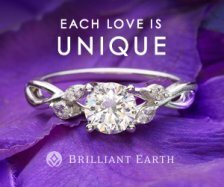 The Brilliant Earth Custom Wedding Ring design team can create just about any wedding ring style, including puzzle rings. 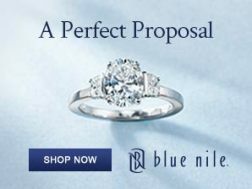 Couples can work with BE's amazing design team for the perfect eco-friendly puzzle ring of their dreams. 3. 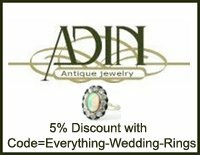 For antique puzzle rings, Adin Fine Antique Jewelry carries a beautiful selection of genuine double interlocking Victorian bands that are crafted to fit together, like this one below. 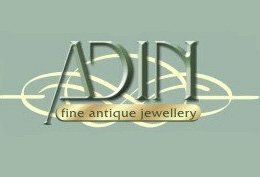 And Adin offers a 5% discount to all of our visitors - just use "code=Everything-Wedding-Rings" with your purchase. 4. Etsy is also an ideal place to find beautiful handmade puzzle rings including designs with a birthstone gemstone of your choice. 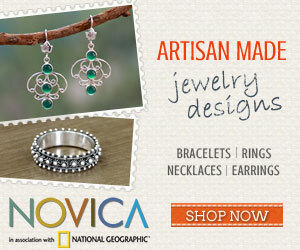 Many of the Etsy artists too use eco-friendly materials for their jewelry pieces. We are continually searching for jewelers who create exceptional handmade Turkish puzzle rings, if you have any recommendations to add, let us know! Do you have comments or questions about Turkish puzzle rings? Send in your questions and comments, or share pics of your amazing puzzle rings here!